Everyone has advice for new parents, and sometimes, that advice is conflicting. Should you bottle or breast feed? Should you start teaching your child to walk early? When should you start feeding them baby food or solids? Should you use lavender lotion or not? When is it safe to stop swaddling? Should you swaddle in the first place? If you consult a bunch of resources and ask all your friends and family, you’ll end up spinning in circles of confusion, trying to make up your mind. Being a parent is a daunting enough task without arguments on how to do it right and be the best you can be. You have to learn to make decisions on your own, based on knowing your child and his or her individual needs. Sometimes, this is just an educated guess or even a lucky guess. Other times, you can find plenty of evidence to support your decision to act one way or another. One thing most parents do agree on is that having a humidifier really can help newborns stay healthier and happier. What does a humidifier do for babies? 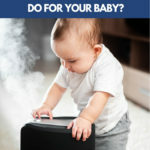 There are tons of advantages to having a humidifier in your home and even in your baby’s nursery. Of course, there are naysayers in this as well, likely because nothing comes without its little caveats and warnings. However, with the right information, you’ll know if the advantages outweigh the risks and if using a humidifier to help your baby stay healthier is right for you. First, you should understand how a humidifier works and what the different types of humidifiers available are. Here, we’ve assembled all the necessary facts so that you can be fully informed about use, safety procedures, and all other aspects of humidifiers, allowing you to make the best choices when it comes to your child and whether or not he or she could benefit from the addition of a humidifier to your environment. What is the Purpose of Humidifiers? A humidifier is a device that creates moisture and passes it into the air, essentially keeping a space from becoming too dry. Especially in very hot or very cold weather, you’ll find that your home environment dries out, whether from the use of fans and air conditioners in the summer or running the heat in the winter. These devices remove moisture, and while being in a very humid environment is extremely uncomfortable, having air that lacks moisture entirely can be even worse. In fact, it’s bad for your health. In winter especially, humidity levels in the home drop as low as 10 percent. Ideally,a home environment should have a humidity level of 40 to 50 percent. Because cold air holds less moisture to start with (which is why you might need a humidifier when you’re running the air conditioner in the summer), and heating the air, such as with a furnace or wood fire, can deplete what moisture there is, winters are the worst. However, there are humidifiers sized for every space, with small units that sit on a table or desk covering small rooms up to 300 square feet, medium units for up to 500 square feet, and large units or whole house units for over 500 square feet. 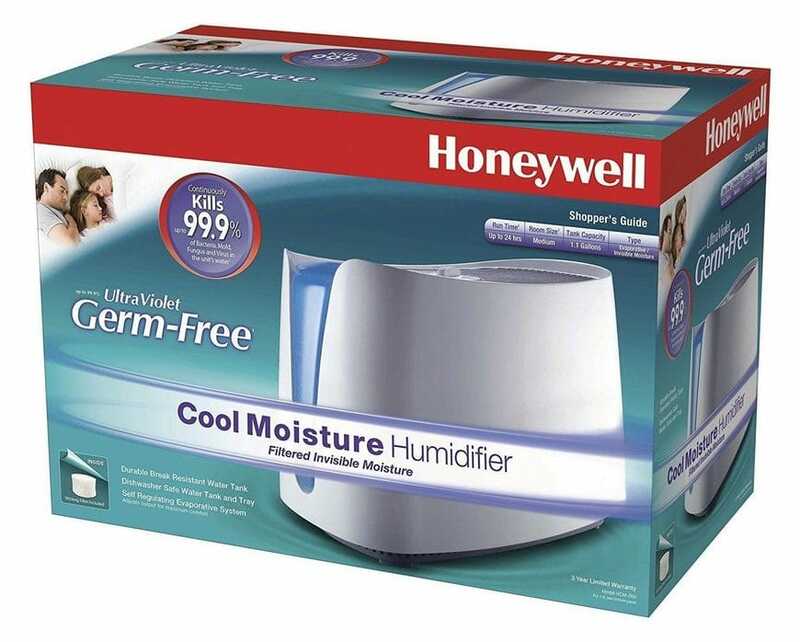 A humidifier remedies the dryness that can lead to health issues. Most of them have means of controlling the amount of moisture they allow into the air so that you don’t end up turning your space into a tropical rainforest where the air is so thick you can’t even breathe, and they allow you to direct the flow of moisture so that it fills a particular space. Choosing the right size will also help you properly regulate a comfortable level of moisture in your home. So, you’ve probably asked yourself questions like ‘what kind of humidifier do I need for a baby’ or ‘when should i use a humidifier for my baby’? There are generally two types of humidifiers, though there are several different ways they operate. Depending on your specific needs, you may prefer one over the other, and both have their benefits, especially with babies. However, you have to be aware of safety precautions that are important for each type of humidifier. Cool mist humidifiers release moisture into the air without first heating the water. 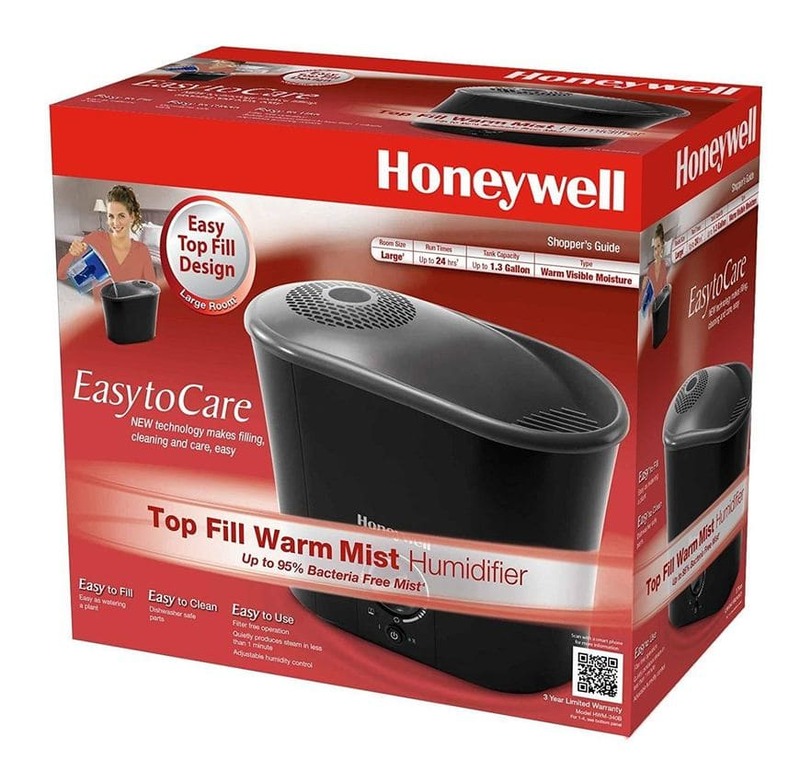 Warm mist humidifiers use a heat source to warm the water and turn it into vapor that is dispersed. To further break it down, there are two ways that cool mist humidifiers function – using an evaporative wick or with ultrasonic waves. A cool mist humidifier is an excellent option, since you don’t ever have to worry about heat and hot water being involved. These products utilize one of two technologies to make a cool mist that is then dispersed into the air to moisturize your space and keep a constant, comfortable level of humidity. With an evaporative wick model, the machine utilizes a saturated wick filter, drawing in the dry air and passing it through the filter, where any sediment or other impurities are removed, providing cleaner air that is healthier to breathe. Then, an internal fan forces evaporation of the water in the filter and blows it back into the air in your home. An invisible mist is created and dispersed throughout the space, giving you the benefit of more moist air that is also cleaner and easier to breathe. Perhaps the only downfall is that, while the fan is relatively quiet, there is some noise to the operation of an evaporative wick humidifier. Cool mist humidifiers can also use ultrasonic technology to create that fine mist that is blown into the space. In these models, a transducer is used, creating a vibration that has ultrasonic speed. This breaks down the water into tiny, cool molecules that are automatically cleansed of impurities. Once that is achieved, the tiny droplets are forced out of the unit into the surrounding air. These humidifiers tend to be quieter, so if you don’t like background noise, such as the quiet hum of the fan in the evaporative wick style humidifiers, this might please you more. On the other hand, you may not like being able to see the mist as you can when using ultrasonic technology, so you might want to opt for the wick style machine. Some of the best features of a cool mist humidifier is that, while one type does make noise at all, they are both quiet, only offering a gentle background noise at the worst. Also, because there is no boiling or heating process, there will never be steam emitted to burn you or the accidental bumping of a unit that’s hot to the touch and could singe you easily. These humidifiers provide cool air that can be refreshing, considering that you have the heat running and might need a little refresher. And because both of them have easy removal of dust, dirt, allergens, and other particles that are easily the source of irritation in our noses and lungs. With a warm mist humidifier, heat is used to produce steam, which is released into the air to moisturize it. The water is boiled and sent through a filter that removes minerals and impurities. Then, the steam is released into the air, warm and soothing. These humidifiers tend to be a bit bulky, especially if you are trying to add moisture to air in a larger space. The filter assists the cleansing process that begins with boiling, which heats the water until it becomes a gas while leaving impurities behind like sediment. However, vaporizers, a form of warm mist humidifier, tend to be more compact and take up far less space. These work in the same capacity and typically cover a smaller space but are quite efficient. Warm mist humidifiers and vaporizers are fairly quiet in their operation, since they don’t need a fan to blow the steam into the air. Because heat rises, the steam automatically moves out of the unit into the space you want to moisten. This means that, if you need silence for sleeping at night, these are virtually noiseless. Of course, if you like white noise in the background to soothe you to sleep, they may not offer that comfort. Using a warm mist humidifier or vaporizer requires that you practice safety. These units get very hot at times, and bumping into them could lead to burns. In addition, if the steam is coming out quite heavy, you want to avoid close proximity, since you could also get a steam burn. Aside from basic precautions, these products are great, and you’ll find they help keep the space slightly warmer on cold nights, as well. One thing to keep in mind is that the filters in these will need to be changed as they become filled with the particles that are removed from the air to cleanse it and purify it for breathing. While they are typically inexpensive and easy to trade out, it’s important to keep in mind that there is a small added cost in maintenance for warm mist humidifiers and vaporizers. This is typically not of the same concern with cool mist humidifiers, which typically have filters that can be cleaned rather than replaced. Still, when it comes to your health – and the health of your baby – it’s definitely worth the price. When it comes to assuring that our babies are healthy, we’ll do just about anything. We consult with pediatricians, experts, other experienced parents, articles, and any resource we trust. But what are some of the main concerns with the health of a newborn or infant child? First of all, babies are much more susceptible to congestion because their respiratory systems aren’t as developed as older children and adults. That means it’s far easier for them to catch a cold or something worse than it is for the average adult. You can probably see this in the fact that, when pushing for everyone to get their flu shots, health care professionals are far more adamant and concerned about children and senior citizens. Protecting your child against infection is one of the most crucial things you can do to assure your baby grows up healthy and happy. Also, a baby’s skin is extremely sensitive, as evidenced by its softness. We lather our babies with lotion to keep it smooth and moist, but they are prone to dry, rashy, irritated skin, especially during the winter months when the air is dryer. Taking the time to make sure your baby’s skin doesn’t get so dry it cracks will also help reduce the instance of infection, and soothing their dry skin will make them happier, so you aren’t dealing with tears and frustration all the time. You’ll also avoid ‘baby acne’ by making sure your child’s skin stays moist and smooth. Some of the most common ailments in babies include diarrhea, constipation, cough, and vomiting. All of these are possibly symptomatic of dehydration. While babies ingest plenty of formula or breast milk on a daily basis, that doesn’t mean other factors can’t lead to problems with dehydration. They are also prone to ear infections, partly because the small tube behind the eardrum is connected directly to the throat, which is easily irritated. If the throat is compromised in any way, an infection can ensue. Because the air isn’t dry, your child’s throat is less likely to become dry. Dry throat produces a cough, and having a consistent cough can be more than a little irritating, especially to a baby who doesn’t have the resources in terms of medicine to help or the ability to take care of its own problems. Depleted moisture in the air causes environmental factors to draw moisture from the body. Especially because we bundle and swaddle infants, they can get warm enough to sweat out healthy moisture, and their core temperatures already tend to be slightly higher than adults. A humidifier makes sure there is enough moisture in the air to replenish some of the water lost in a baby’s system as they breathe it in. 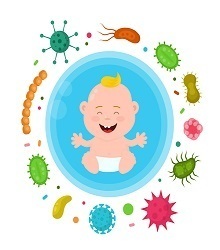 Because a child’s immune system isn’t as advanced (remember, an infant has relied solely on its mother’s immune system for more than nine months), babies are more susceptible to nasty germs and infections, and dry air allows the airways to dry out. That reduces the amount of mucus as well as forming minute cracks through which these germs can easily break. A humidifier prevents these cracks and helps keep the nasal passages lined with mucus that collects dust, debris, and germs that compromise your child’s health. Reduces dry, itchy, irritated skin. In the winter, even slathering lotion on your baby three times a day won’t prevent his or her skin from getting dry, flaky, rashy, and itchy from the low level of moisture in the air with the heat on. Humidifiers keep the air healthier for baby smooth skin. Babies are very prone to being congested, and they don’t have the option of taking over the counter medicines the way we do to clear it up. However, humidifiers – especially warm mist humidifiers and vaporizers – can loosen congestion in a baby’s nose and lungs, helping him or her breathe easier. In fact, some vaporizers and humidifiers offer the option to add a medicated oil to the mix so that your whole family can benefit from open lungs. This helps in two ways. First, a light, repetitive sound in the background like the hum of the fan in a humidifier, is soothing to a baby trying to fall asleep, making it a much easier task to lull them into slumber in the crib rather than rocking them for hours. Second, training a child to fall asleep to complete silence results in every little noise waking your infant. Having the constant sound in his or her nursery will reduce the incident of waking up to every bump or squeak. You can hardly deny that having a humidifier in your baby’s nursery alleviates a great many fears and concerns in regard to rearing a healthy child. There are some cautions to consider young children and knowing when to use and how to use a humidifier for babies. Mostly, being a diligent parent will negate any problems that could arise, but keep a few things in mind when you have your child exposed to a humidifier. First, you should understand your environment and assure that you don’t have any type of mold in your home that would proliferate further with the addition of moisture to the space. Certain kinds of mold can cause difficulty breathing, especially for small children and infants, and if you have these molds in your home, you might actually be hurting your child – and your family – more than helping. It’s a good idea to have your home tested for mold from time to time anyway. Also, you should be cautious of certain ultrasonic humidifiers, as some make the droplets of water too small for good health. Because some of them send these minute particles of water out with such force, the droplets won’t stop in the nasal passages and can, in fact, end up in the lungs. Water in the lungs can be dangerous, so shop carefully for these, especially if you’re putting it in the nursery. Most issues with humidifiers can be avoided by following some simple safety tips. Don’t turn the power up too high. Most of these units have adjustable levels, and you want to make sure the air doesn’t become too damp, since this is dangerous for a baby to breathe in. Clean the humidifier often, and replace filters as needed. How often, you ask? It depends on how much you use it. If you run it daily, clean it weekly. If your child is experiencing more allergy symptoms than usual with the humidifier running, it likely means the filter is clogged and not doing its job or that mold, bacteria, or allergens have started to grow in the tank. Cleaning frequently can negate this problem. Locate the humidifier in a safe place. Knowing where to place it is key. Warm mist humidifiers and vaporizers get hot, and accidentally bumping them can burn a toddler when used in the baby room. Tipping can also cause the boiling water to spill, which can result in severe burns. The hot steam can also leave burns on small children. Also, especially with crawling babies and toddlers, you need to avoid wires in places where they can trip or grab and bite the cord, causing electrocution. Don’t add essential oils. While mentholated and medicated additives may help adults and babies get relief from congestion and allergy symptoms, many additives can irritate small children. Avoid anything that is not doctor-approved in the humidifier. When purchasing a humidifier, don’t judge everything by dollar signs. It’s important to get a good quality unit with certain features that can help you use the unit effectively and safely. For example, find a unit that has adjustable power so that you can control the amount of humidity in the room. Also, make sure the direction can be adjusted so that steam, vapor, or mist is not pointed directly into the air immediately around the child. You don’t want the water molecules getting into your baby’s lungs, and you certainly don’t want anyone to get burned. Many humidifiers also have an auto shut-off safety feature that turns off the machine when the water level is too low. This prevents any damage to the unit but, more importantly, prevents the microbial and irritating impurities that were removed from the water dispersed from being added back into the space. It can also avoid a fire if you’re using a warm mist humidifier or vaporizer, so that the heat won’t continue to run without water to boil. When it comes to children, we want the best for ours. Humidifiers are a great solution to many of the typical issues that arise with babies and small children. They alleviate dryness in the atmosphere and provide a number of benefits in preventing infection and irritation. However, as with anything you introduce into a newborn or young child’s environment, it’s important to be fully informed of precautionary measures and to act in the safest way possible based on the abundance of knowledge about what a humidifier can do for babies.